Multimetallic clusters—typically composed of three or more metals—are garnering attention as they exhibit properties that cannot be attained by single-metal materials. 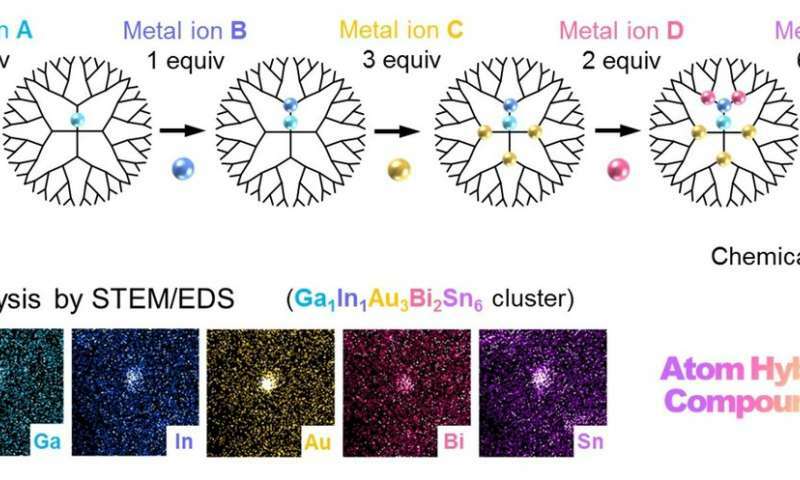 If a variety of metal elements are freely blended, it is expected that as-yet-unknown substances are discovered and highly-functional materials are developed. So far, no one had reported the multimetallic clusters blended with more than four metal elements so far because of unfavorable separation of different metals. One idea to overcome this difficulty is miniaturization of cluster sizes to one-nanometer scale, which forces the different metals to be blended in a small space. However, there was no way to realize this idea.